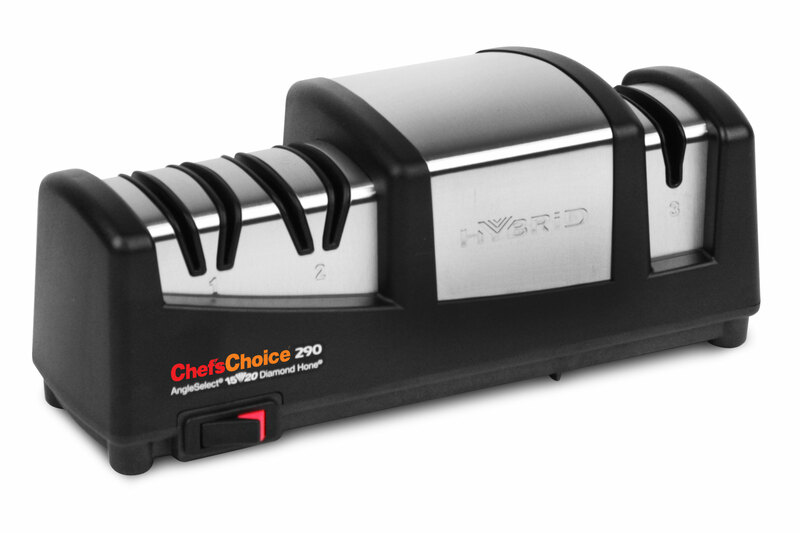 The Chef's Choice 3-stage Hybrid AngleSelect Diamond Hone Knife Sharpener puts the ultimate razor sharp edges on all your 15 ° and 20° class knives combined by electric and manual sharpening stages. Uses angle guides and 100% diamond abrasives in all 3 stages to apply an extremely sharp, arch-shaped edge that is stronger and more durable for straight edges and serrated blades to sports knives and pocket knives. The advanced, Criss-Cross sharpening technology provides a superbly sharp edge. The 100% diamond abrasive wheels sharpen simultaneously in and out of the edge for a superior burr-free edge. 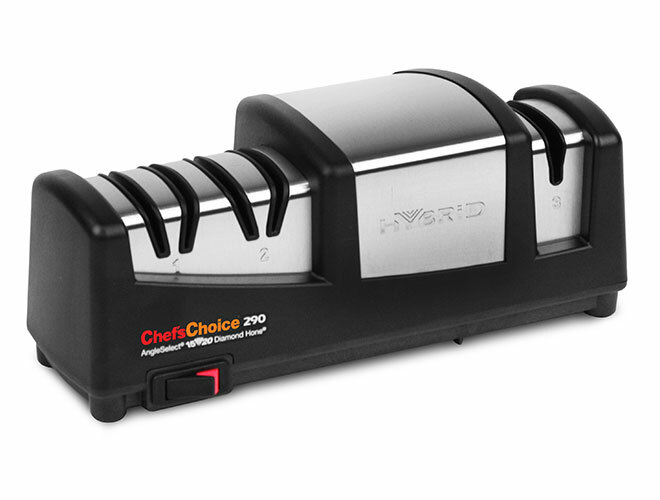 Stages 1 and 2 are electric with Stage 1 dedicated to 15° edge knives and Stage 2 for 20° knives. Stage 3 is used for polishing both types of knives as well as for sharpening serrated knives. 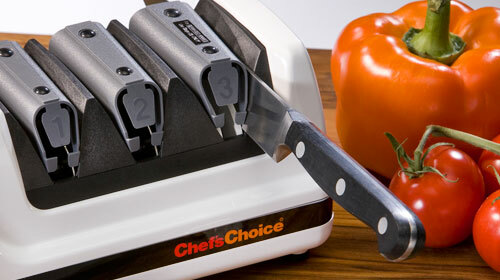 Safe for all quality knives and will quickly sharpen even the dullest of knives. The elegant and durable brushed stainless steel housing and sleek design provides a unique look for the household. Engineered and manufactured in USA.